As new parents or first time pet owners, the task of taking care of another life can get overwhelming. 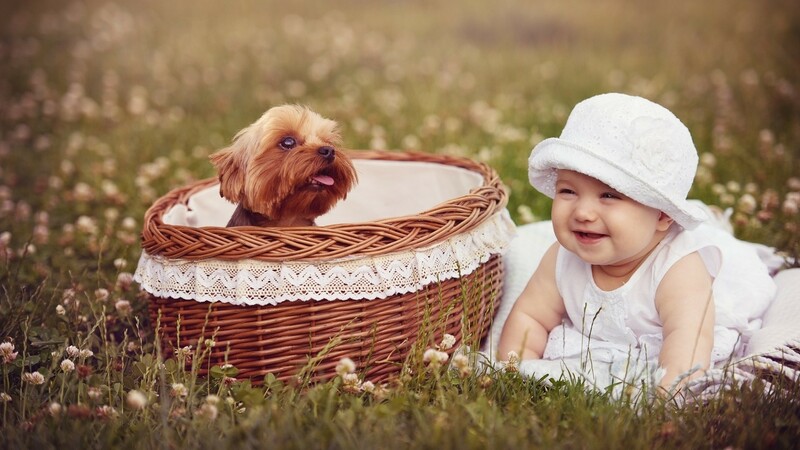 From what food to give to the right products to use, every decision has to be made wisely for the well being of your tiny tot or loyal four-legged friend. We usually rely on our friends or family member to give us the right suggestion. But imagine, what if we could be a part of a larger community that collectively and in the most reliable manner would help us decide on the right shopping options. Well, BerryClever the new app in town is here to give you just that. With this app you can discover and share the inside scoop on the best products for your loved ones. You also get unlimited access to tips, advises, videos and those all important lists of essentials from your friends and people just like you. Know The Team Behind BerryClever Up Close & Personal! This app was ideated and co-founded by Kristi Flax, Emma Kafton and Nathan Levi. Kristi and Emma are the initial co-founders of the business. Kristi left her role as VP of a leading hedge fund to join Emma, a city litigator, to start a legal services business. They founded the company from the basement of Kristi’s home with two desks and a phone. Within 3 years they had grown the business to 200 employees with outsourced operations in India and the UK. The duo sold the business to a strategic investor. Nathan joined the start-up at the beginning of 2014 and has 12 years of experience as a digital marketer. His previous work experiences include being a media director for both Razorfish and VCCP. Parents and pet owners spend a considerable amount of money on products that are really important for their child or pet. Buying products for something or someone you care about so deeply is not a simple transactional decision. Thus about 86% of parents lean on their family and friends first while making any such purchases. BerryClever is here to help parents and pet owners. This platform is finally giving parents a chance to connect with people they can trust to share tips and advises about purchase decisions that matter the most. It’s solution is to make shopping a truly social experience. The team has a social algorithm that connects the members with their friends and people who are similar to them. Also, the reviews posted on the app are no more than 150 characters thus making it easy to digest on the go. This app has 5,000 members in just 3 months, more than double in traffic and membership month on month. Also, the team is focused on mobile experience as their audience now demands a snackable on-the-go shopping experience that is suitable for a smaller screen. “Kristi and Emma are most interested in exploiting under-served industries and markets and believe that the social shopping space for parents and pet owners falls into this category. They identified three issues in the market. Parents and pet owners need to make a large volume of very important and personal purchases in a short space of time; they want personal recommendations from their friends when doing so and the information needs to be easy to access on the go. In fact further research showed that people prefer to read short tips. The results of these finding is what inspired them to launch BerryClever”, says Nathan. “There are a number of directions we can take the business in. We are in discussions with merchants to establish the opportunity of selling product directly. We are also looking at other markets in Europe where there might be a strong demand. Our core focus however is on building our trusted community and connecting like-minded shoppers”, says the team. Presently the app is mainly targeted towards UK based expectant and new mums for BerryClever Kids, and cat and dog owners for BerryClever Pets. Most start-ups face the challenges of funding, execution and the ability to act nimbly. However, with Kristi and Emma’s previous entrepreneurial experience they have learned to take these challenges head on. However, the team had a host of product features and ideas prior to launch and the most difficult thing to do was decide on which to launch with and test first. With a limited budget the team chose those which they felt would give them the most significant learning to take the product forward. In terms of competition, Mumsnet and Netmums do pose as somewhat of a competitor to the kids’ section of the app as these are popular and successful parenting communities. However, BerryClever is a shopping community first and foremost. It doesn’t feature forums and instead the focus is on ensuring that the product tips are easily accessible and become permanent resource. On the other hand, the pet social shopping space is just being explored. Therefore, Pets at Home, the largest ecommerce player, would pose as potential competitors to the BerryClever’s pet side. “We have many different opportunities to monetize the product, but this won’t be at the expense of compromising the trust we are building with our audience. We are therefore exploring native advertising opportunities for advertisers, as well as direct merchant relationships”, says the team. To sum it perfectly, BerryClever is a powerful social shopping portal that lets parents and pet owners make sound decisions on the products they wish to purchase for their beloved little ones. Previous articleNudge Kick Motivates You To Meet Your Health Goals! Next articleCampadillo Helps Students & Professors Communicate & Collaborate!